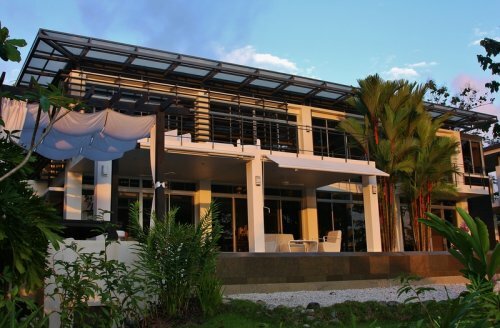 8 ACRES – 3 Bedroom Luxurious Contemporary Home With Amazing Whales Tale Ocean View!!!! 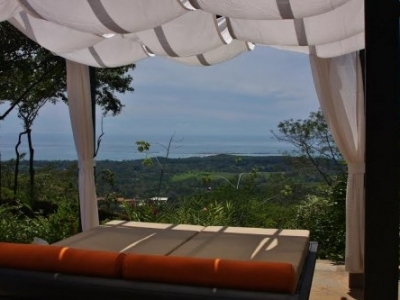 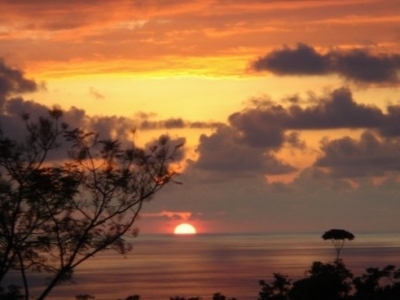 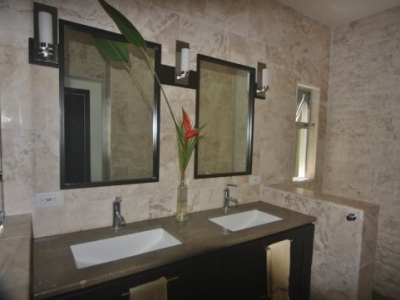 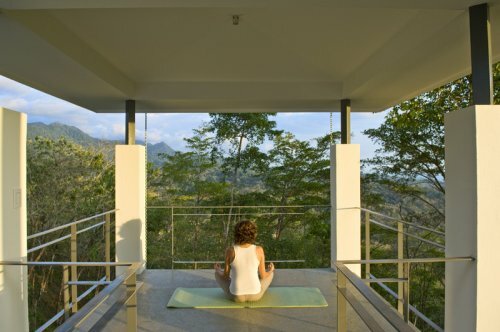 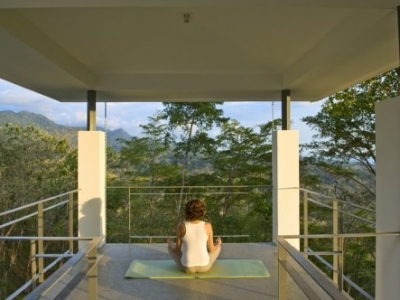 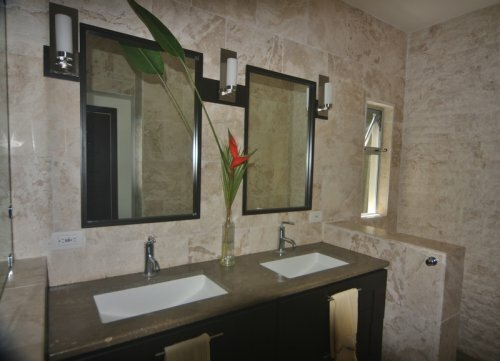 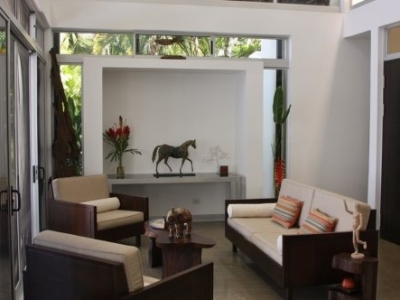 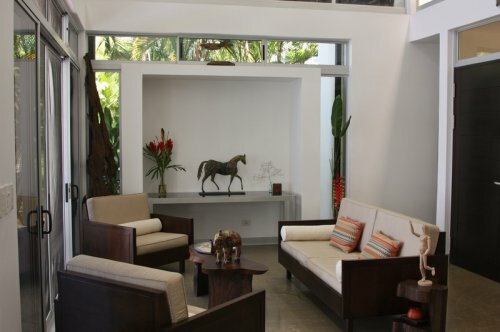 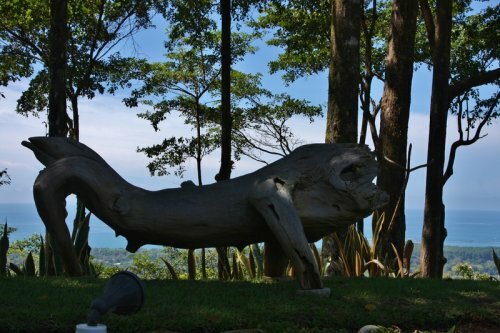 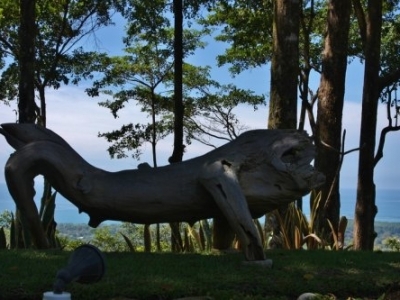 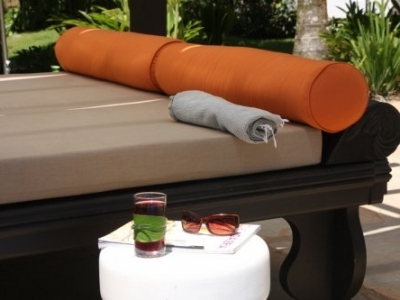 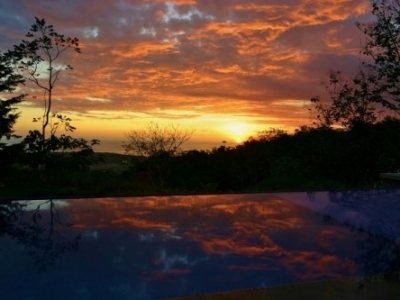 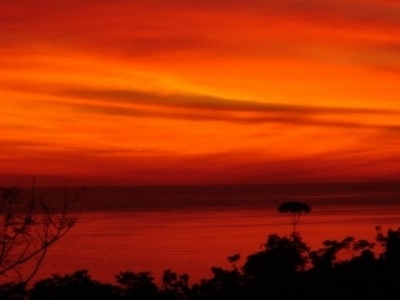 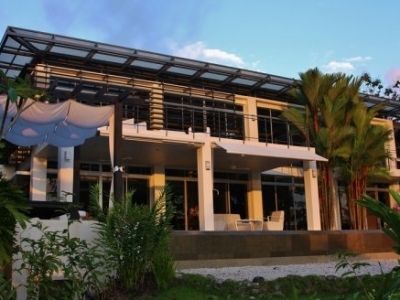 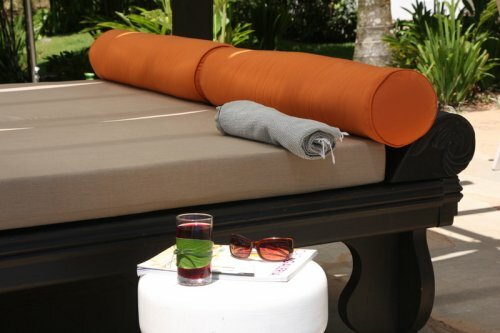 Casa Tigresa is a premier property created to feature the finest pleasures of Costa Rican lifestyle. 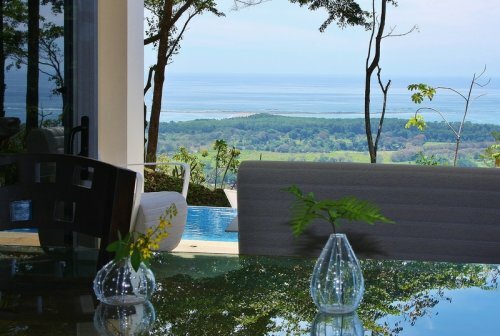 Start every day with some of the most amazing views available, cool breezes, fresh fruits from the gardens and eggs from your chickens. 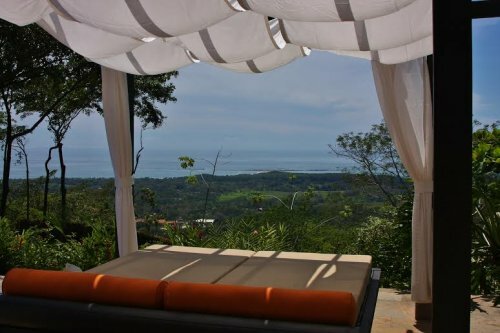 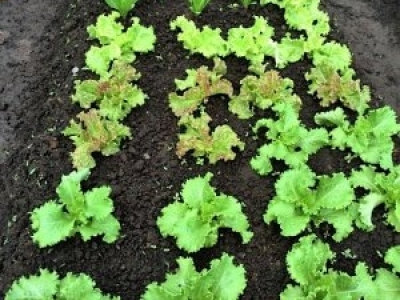 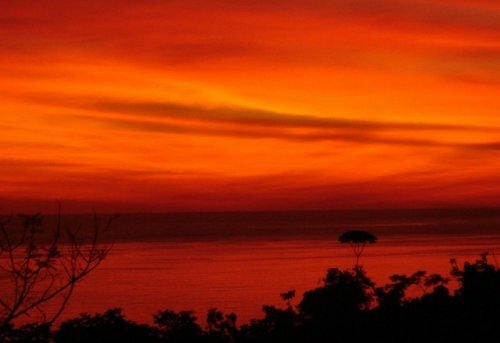 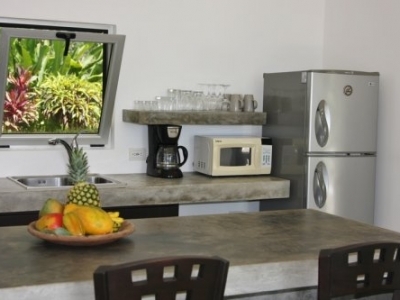 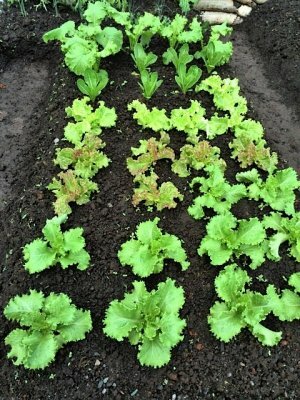 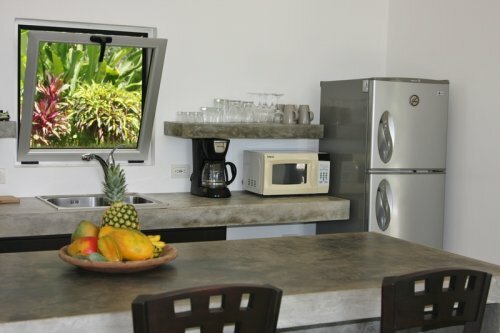 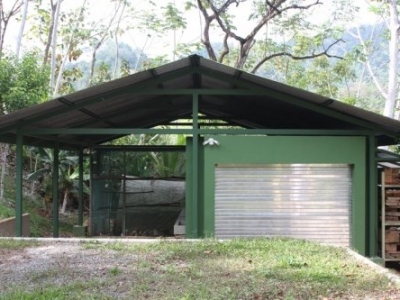 There is also a commercial size, covered and irrigated vegetable garden to supplement the healthy and natural lifestyle sought after in Costa Rica. 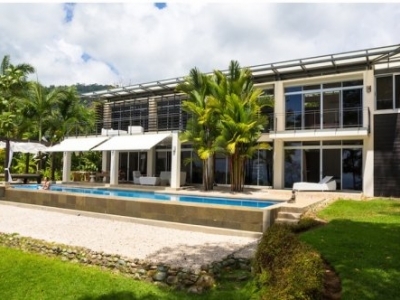 Ideally located along the breathtaking Ballena coast, Casa Tigresa is an architecturally stunning contemporary home. 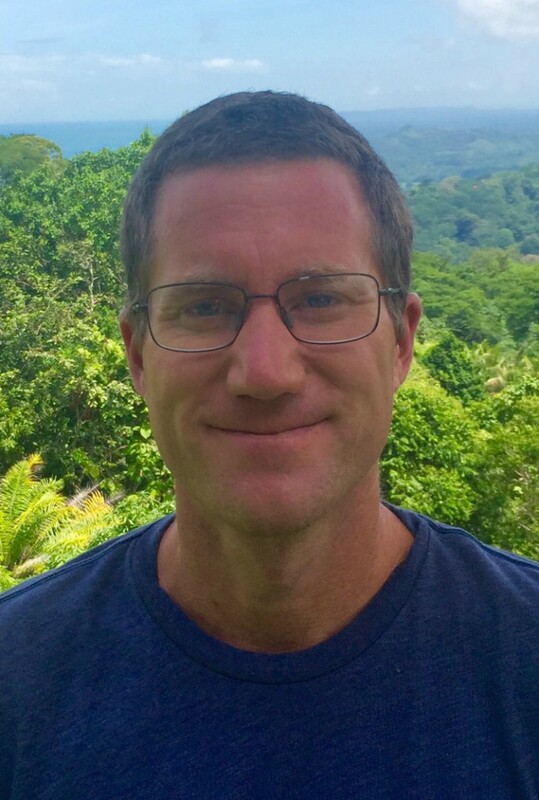 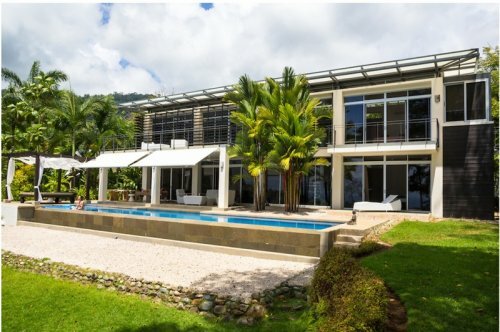 This exclusive property is perfectly located just above the town of Uvita at an ideal elevation of 900’ providing outstanding views, cool breezes, total privacy and easy access. 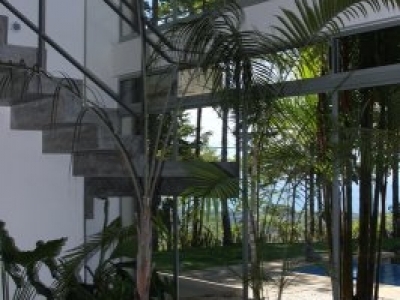 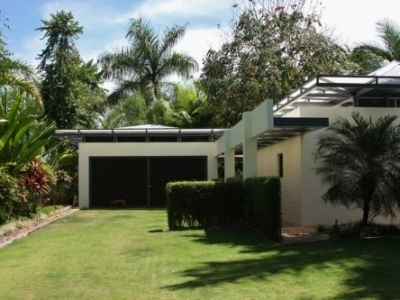 Casa Tigresa is tucked away in its natural surroundings featuring a design which integrates the beautiful gardens, smart light filtering and unusual combination of materials to create a living environment. 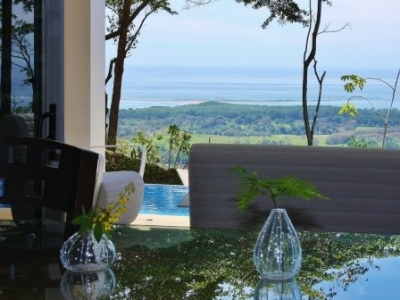 Huge ocean and mountain views are evident throughout the home and the infinity edge pool looks directly over the famous Whale’s tail. 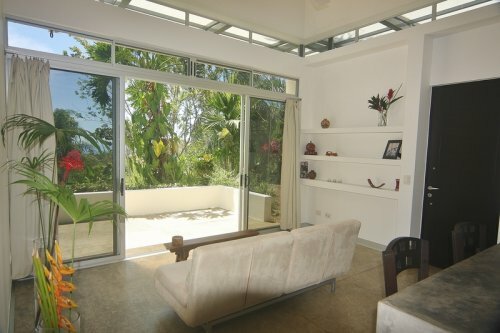 Only minutes from the center of Uvita, you enter a tropical paradise through an electronic gate which is shared with two other properties (neither of which has any structures) and continue a little further along the road where you will find another gated entry to Casa Tigresa’s private driveway. 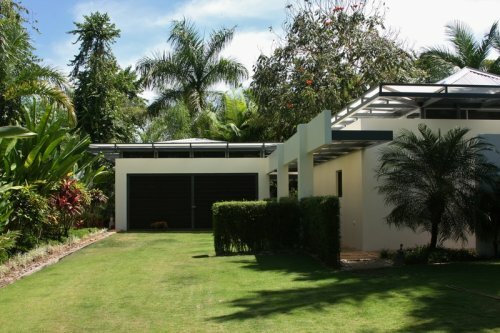 Each gate features an intercom and camera system to ensure the utmost in privacy and security. 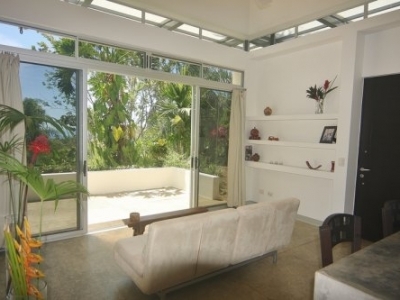 The 8 acre property includes the primary luxury residence featuring 2 master bedrooms with en-suite baths, 1/2 bath, gourmet kitchen, treetop yoga platform, multiple upstairs terrazas, secure rooms, laundry room, detached 2 car garage, 1 bedroom/1 bath guest house including kitchen, living room and private terrace, 3 bedroom caretakers home and work shop. 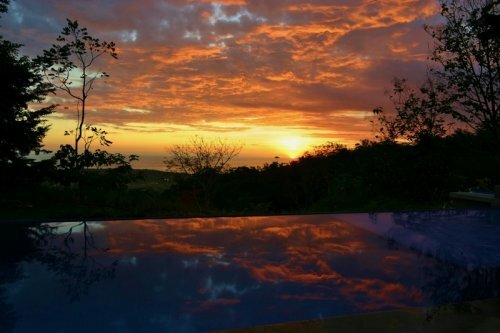 The infinity edge pool is not just for enjoying the fantastic views, it is large enough to serve as a lap pool and also features a large shallow sitting area for cooling off in while enjoying a drink or just relaxing. 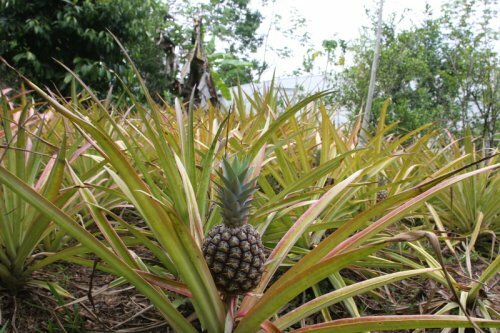 The grounds are a botanical dream and also feature extensive fruit producing gardens, a large nursery, herb and vegetable garden. 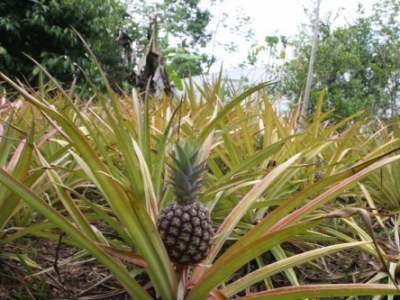 The property produces multiple varieties of banana, papaya, pineapple, lemons, oranges, guanabana, starfruit, plantains, sugarcane and much more. 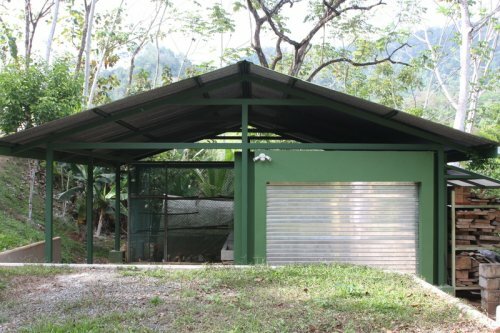 Extensive experience and attention to detail was implemented while designating and designing the property for food production. 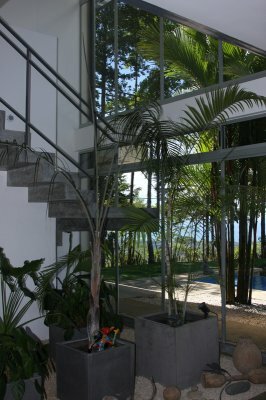 The home was designed by a premier San Jose based architect firm whose founding partner is one of Costa Rica’s most recognized architects and has been dean of the Plastic Arts School of the Universidad Nacional (UNA), professor at the School of Architecture at the University of Costa Rica (UCR), and until recently was the dean of the School of Architecture at Veritas University for Art and Design. 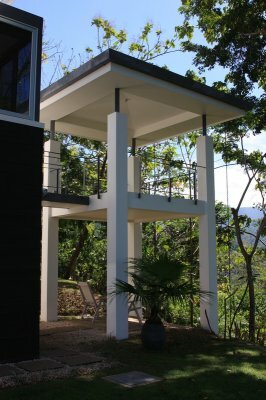 The home features the highest grade construction techniques and materials throughout and no detail was neglected; starting with seismic evaluation and foundational structure, ending with complete attention to all finish details. 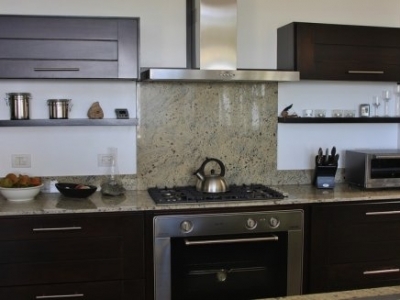 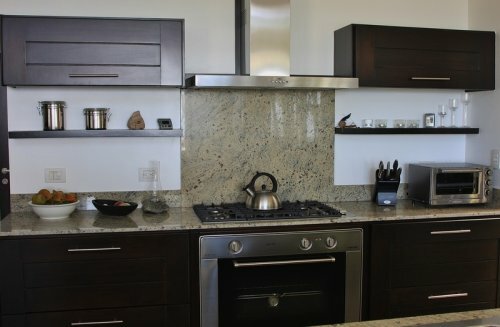 Premium quality appliances and fixtures are utilized throughout the home. 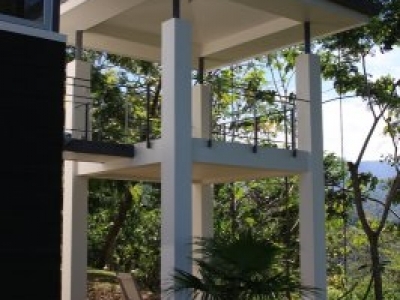 The owner and architects worked closely together to create an open and comfortable environment that maximizes the freedom of movement in and out of the abundant natural beauty.